easyJet has offered Ellie mentoring with Line Training Captain Zoe Ebrey, as part of the airline’s ongoing efforts to attract more women into the profession. Globally, women account for just one in 20 of the world’s pilots. easyJet is leading the industry with its recruitment drive with opportunities ranging from cadet pilots starting their career to experienced co-pilots and captains. 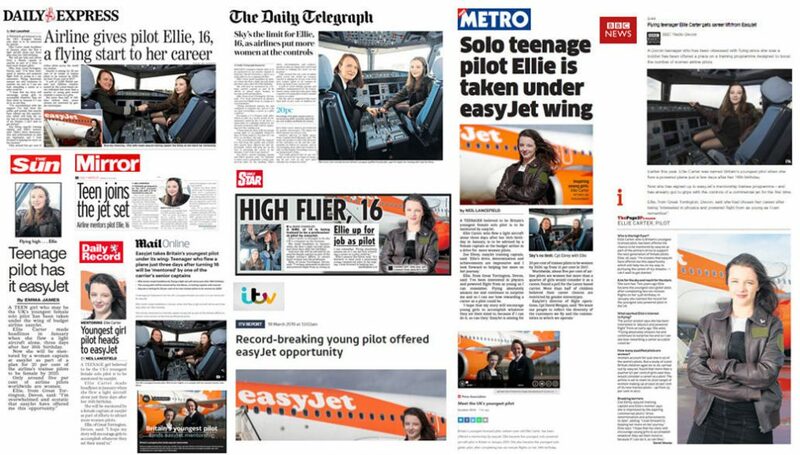 easyJet is encouraging young people to aim high and think beyond stereotypes by championing female pilots of the future. The airline is on track for the target to ensure 20 per cent of all its new trainee pilots are women by 2020, with 15% of entrants in 2017 being female. The campaign generated a huge volume of coverage in the UK and internationally.